We design and crafted an instagram and facebook Photo competition “Learning Moments” to engage the participants of the 20th Israeli Annual Learning and instruction in Organizations Convention. In addition, we manage the conference facebook page and monitor the interactions during and after the conference ended. 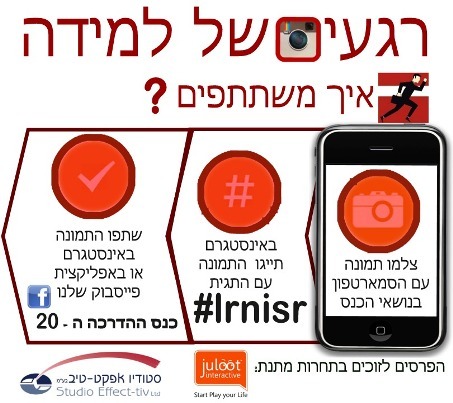 How with Gamify the #lrnisr Conference? Studio Effective printing the winners’s instagram Photos on Canvas and QR code Strikers. Israeli Human Resources Magazine. Iush Human Qualification Development LTD.
instagram, Photo competition app, facebook app, Mobile landing page.